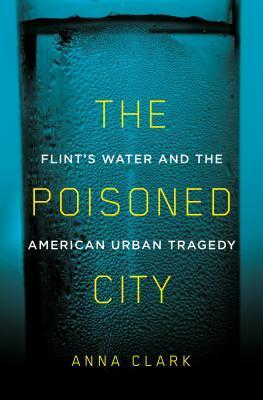 Anna Clark is a journalist in Detroit and the author of "The Poisoned City: Flints Water and the American Urban Tragedy." Her writing has appeared in Elle Magazine, the New York Times, Politico, the Columbia Journalism Review, Next City, and other publications. She has been a Knight-Wallace journalism fellow at the University of Michigan and a Fulbright fellow in Nairobi, Kenya. Anna has been a writer-in-residence in Detroit high schools through InsideOut Literary Arts. She's also been a longtime co-leader of an improv theater workshop at a Michigan prison. Anna edited "A Detroit Anthology," a Michigan Notable Book, and authored "Michigan Literary Luminaries: From Elmore Leonard to Robert Hayden." She graduated from the University of Michigan and from Warren Wilson College's MFA Program for Writers.